Decorative Concrete Cost - How Much Does Decorative Concrete Applications Cost? What is the cost of decorative concrete? Decorative concrete cost and Decorative concrete are very broad terms used to describe many concrete applications like; acid stained concrete, dyed concrete, stamped concrete, concrete overlays, polished concrete, and concrete countertops. Here are some basic decorative concrete prices for applications that I do. Acid stained concrete floor cost: $3.50 dollars per square foot, This includes one acid stain color, cleaning, and sealing the concrete. This price is in addition to the basic concrete floor price. The price doesn't include any repair work the concrete floor may need. Dyed or water-based stain concrete floor cost: $3.00 dollars per square foot, This includes one stain color, cleaning, and sealing the concrete. Water based stains are easier to work with than acid stains, less labor is involved helping to lower the cost a little. The cost is assuming the concrete floor is already done and doesn't need any repair or extensive cleaning. Stamped concrete cost: $8.00 to $12.00 dollars per square foot, I have written about this in detail - How much does stamped concrete cost? Concrete overlay cost: $2.00 to $15.00 dollars per square foot, this can cover a wide range of applications and is very dependent on preparation work. 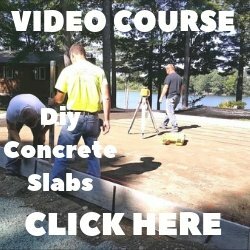 I talk about basic concrete overlay costs and stamped concrete overlay costs in more detail at How much does a decorative concrete overlay cost? Polished concrete floor cost: $3.00 to $7.00 dollars per square foot. These prices are for polished concrete floor finishes that range from 400 grit to 3000 grit diamond finishes. Any repairing of the concrete floor is extra. Find more information at How much does polished concrete cost? Concrete countertop cost: $100.00 dollars per square foot. This price covers most basic concrete countertop finishes. I go into more detail at How much do concrete countertops cost? Epoxy concrete coating cost: $6.00 dollars per square foot. This price includes cleaning and lightly grinding the concrete, applying a moisture vapor blocker, applying a colored base coat, broadcasting decorative chips, and two clear top coats. We use a 100 percent solids epoxy from Elite Crete systems. 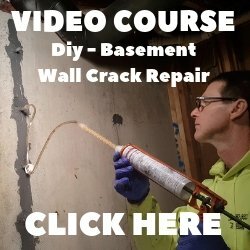 Any concrete crack repair or surface repair would be an extra cost. This price is basically for garage floors and basement floors. Those are some popular decorative and colored concrete costs that I actually install. For applications being applied to existing concrete floors, the condition of the concrete plays a major role in the final cost of the project. Extensive concrete repair can add up to $5.00 dollars per square foot to some of these decorative applications. If you concrete floor is in good condition, these prices should be close to what you can expect. lowest price. Most, very good, experienced, decorative concrete contractors won't be the cheapest for a good reason, their EXPERIENCE. You only get one chance to do decorative concrete right, if the contractor runs into some challenges (expect some) and doesn't know how to handle them, your decorative concrete can come out looking less than perfect.